Euro NCAP, responsible for evaluating safety of new vehicles in respect of performing crash tests, awarded 1 Star rating to the all new Jeep Wrangler SUV. 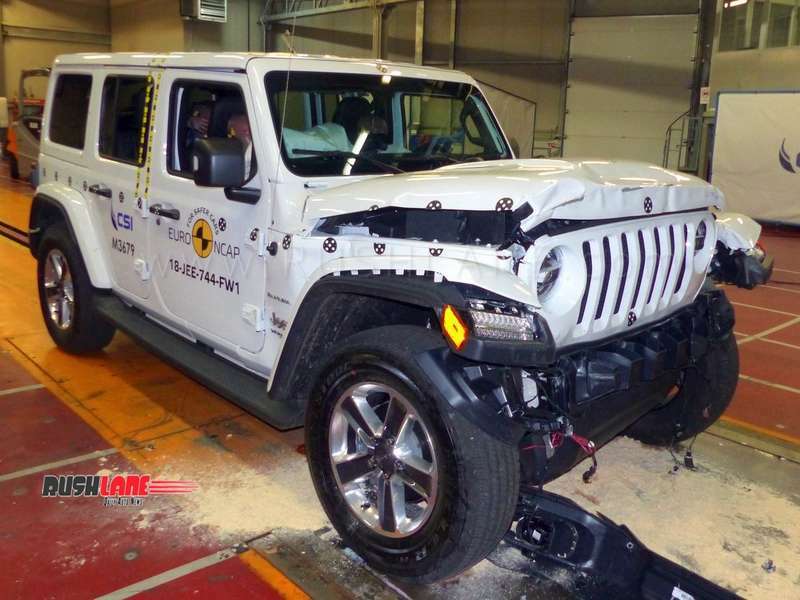 Crash tests conducted by European New Car Assessment Program (NCAP) on the new Jeep Wrangler, has revealed dismal results. New generation Jeep Wrangler scored a low 1 Star rating due to the fact that the off roader was found lacking in vital safety features such as automatic emergency braking, lane keeping assist and blind spot monitoring system. This is the fourth generation Jeep Wrangler which was revealed earlier this year and Michiel van Ratingen, Secretary General of Euro NCAP, expressed surprise that a new car could come in without these vital safety features. Jeep has confirmed that the from early 2019 the Wrangler will sport advanced Autonomous Emergency Braking (AEB) system with camera and radar technologies, but had the model put through tests at Euro NCAP sported this safety equipment, ratings would have been considerably higher, right at the outset. As per data received from Euro NCAP, the Jeep Wrangler scored 50% in adult occupant safety and 49% in road user safety protection which led to this low score. The lack of AEB and curtain airbags also gained the Jeep Wrangler a low 32% assist system score. The new Jeep Wrangler comes in with a body on frame construction sporting pressure formed front and rail sections with high tensile steel in vital areas of construction. It is offered with over 75 advanced standard and safety features besides a total of 4 standard airbags. These airbags include front driver and passenger airbags, side head airbags and side chest airbags. It will only be in early 2019 that the company will introduce an advanced Automatic Emergency Braking (AEB) system with benefits of camera and radar technologies. The Jeep Wrangler score of 1 Star in Euro NCAP is better than the Panda, which scored a 0 Star rating from Euro NCAP tests. Fiat Panda was found lacking in lane keep assist, speed assistance, and automatic emergency braking; which are not even offered as optional. The Panda has no other form of driver assistance system other than a seatbelt reminder system.